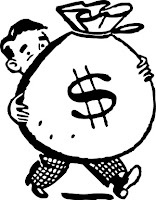 The Recipe to Ambleton Delight: Tip #7: Film Financing …Show me the money! So you have decided to take the plunge and make your film. Great! The next question that immediately comes to mind is where do we get the money? Unsurprising, obtaining financing is often the most difficult part of making a film. A great deal of realism is required. You have to be pragmatic about how much money you actually need and how much money you are likely to get. While there are grants and schemes available, you may find that your film does not meet the required criteria, and if it does that applying is a lengthy and arduous process and unfortunately usually has disappointing results except for the very lucky few. Competition is fierce. Ultimately you will find that most independent films will be financed and co –produced from a variety of different sources: public, private to the more recent trend of ‘crowdsourced’ funding. My advice in pursuing funding is to leave no stone unturned, try every avenue you can think of and then some more. Be certain that you are fully prepared to convince whatever investors you approach of the merits of your project. You need to do your homework and have ammunition in the shape of your film prospectus. This is a written presentation and should include a film synopsis, your background information and achievements, crew and cast bios, letters of interest, the budget, profit projections and so on. Make it as comprehensive as possible. We also included names of bands and music we hoped to have in the film, photos of our locations, and actors we had cast, we had concept art of what we thought the film poster would look like and so on. Remember often at this stage the film is just an idea in your head; the trick is to make it as tangible and real as possible to others. Make certain it is not only informative but also visually interesting. In the end we raised our finance privately (more in a coming blog). There are of course pros and cons as there are with any funding sources. But this means we made our Indie film in true Indie style. Dan, Itsuka and I made all decisions, no one else interfered, called the shots or had control over our vision, our story or our creative methods . We had complete autonomy.